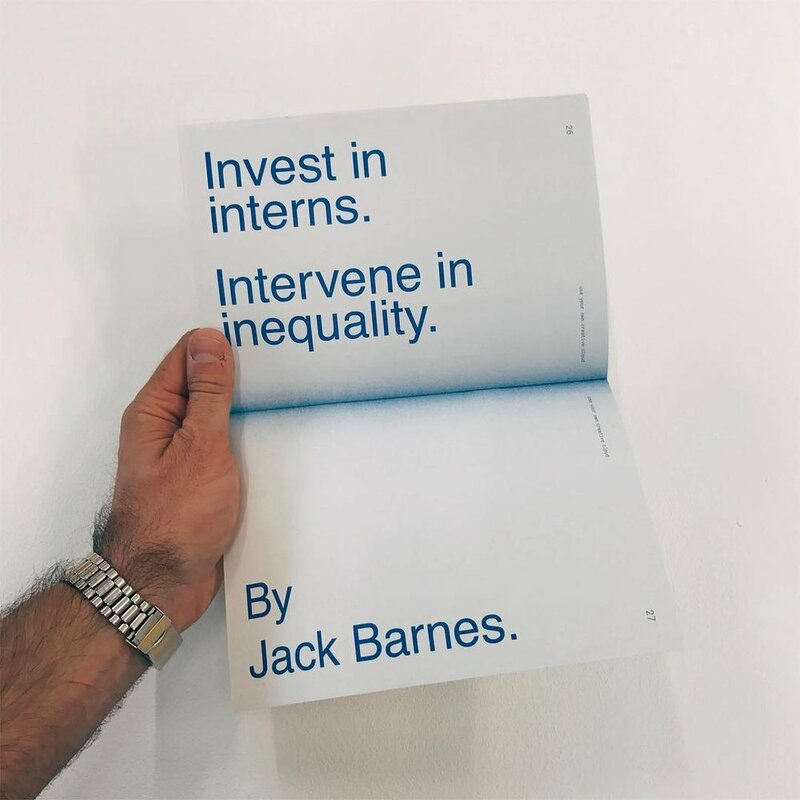 After being priced out of the internship of my dreams because I couldn’t afford to work unpaid for an entire year, I decided to explore how unethical this practice is through the form of a zine and a campaign that educates employers and students about how unpaid internships deserve no place in our society. 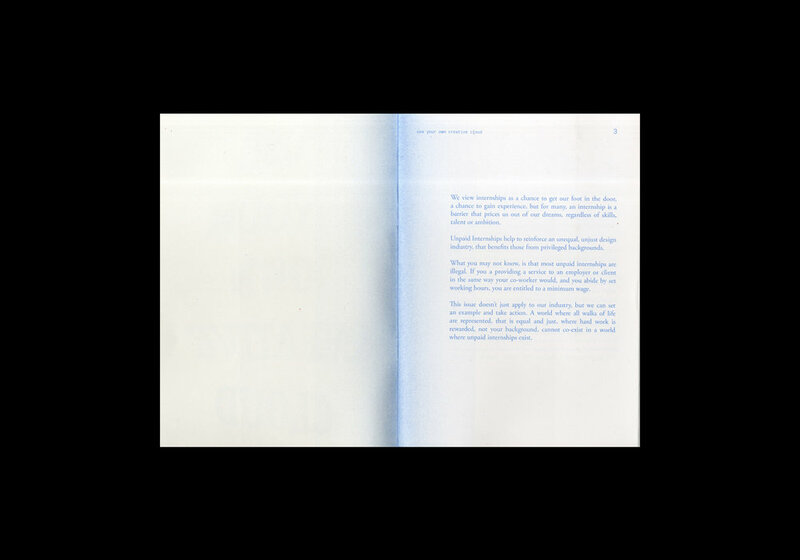 Use Your Own Creative Cloud is a risograph printed zine that challenges the established practice of unpaid internship in the creative industries, bringing a conversation to students; informing them how they can channel their creativity whilst not being exploited. 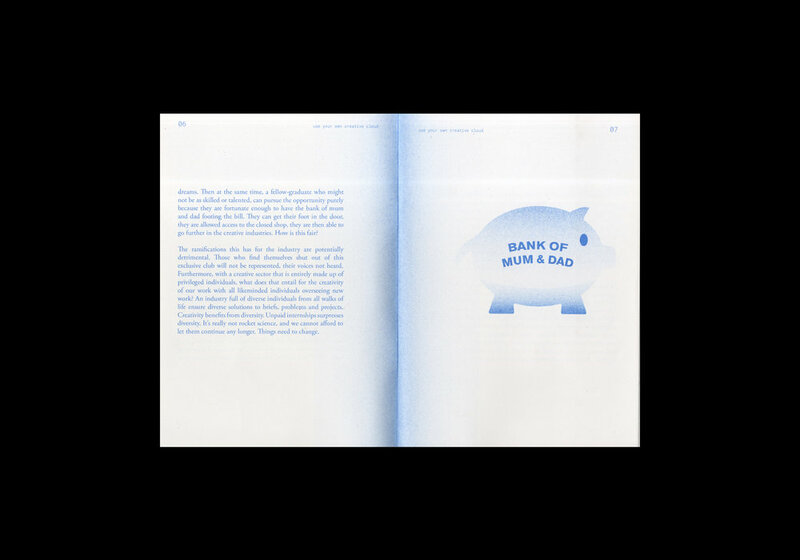 The zine also contains an interview with Alec Dudson, editor-in-chief of Intern Magazine.